There is another kind of cuisine, that will never get a Michelín star, I appreciate much more. It is true that I don’t like trying many things such as sweet and salty products in the same dish and I don’t like vegetables at all but, when I go to a restaurant, I expect to have a good portion of whatever I ask for, meat, fish, shell-fish, beans or whatever. 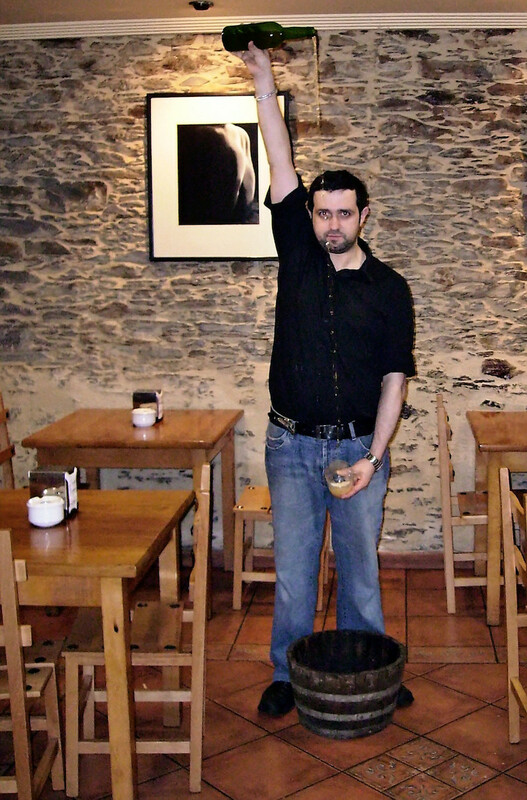 And for that purpose I haven’t found anywhere like Asturias. There you can easily find a daily menu for 9 euros with 3 courses for each person having lunch. And that is not the only thing. If you have beans, soup, cabbage or whatever is the main course, they normally bring you the whole stewpot and let you get as much or as less as you want. I don’t get where’s the benefit for the restaurant, I guess in the volume of sales, but they always get me back in those restaurants. 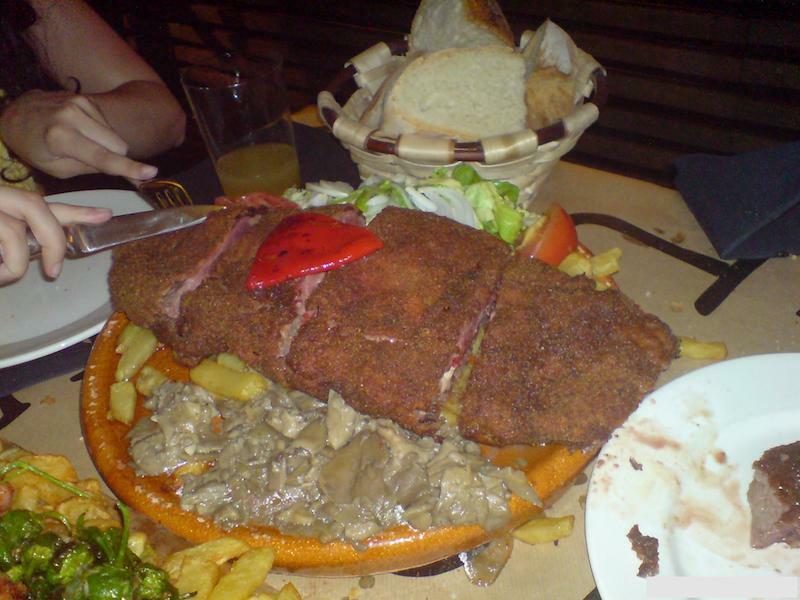 – Cachopo: It is a huge breaded steak filled with cheese and serrano ham. Please see the picture at the end of the post. It is normally served with french fries and red peppers. It is absolutely awesome. There are some people as my mom that cannot see that size on anything because she won’t eat a bite, but it is like heavenly music for other kind of people. This is so famous that a non-official rank of cachopos has been made by people. It is called the “Cachopómetro”. It rates issues as the flavor, the size or the location. It is amazing! !… and funny…!!! 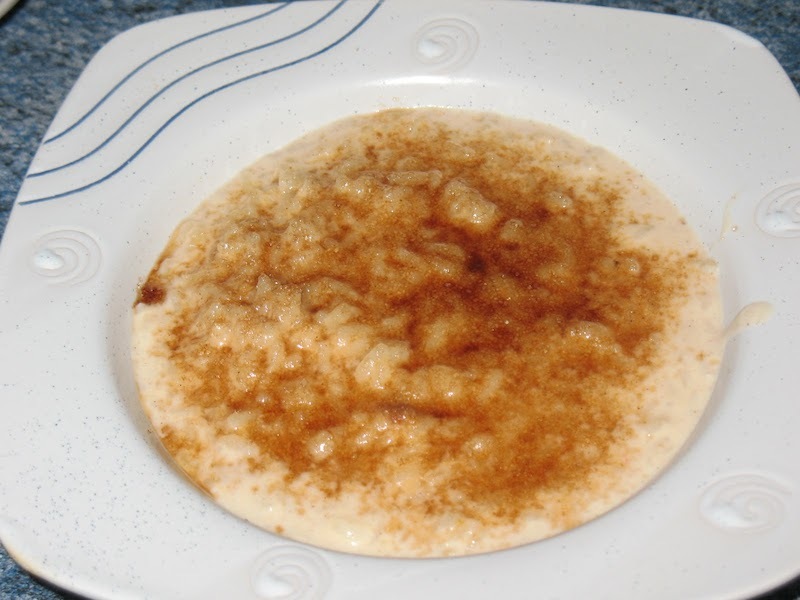 – Arroz con leche or milk pudding: It is also traditional in Asturias to get this for dessert. The important issue is that still in many houses inland the milk is bought to your neighbor, who has 10 – 12 cows. You can’t get fresher milk than that and then rice is boiled with that milk very slowly for hours. They add some more ingredients but the summit is the burnt sugar they put on it. 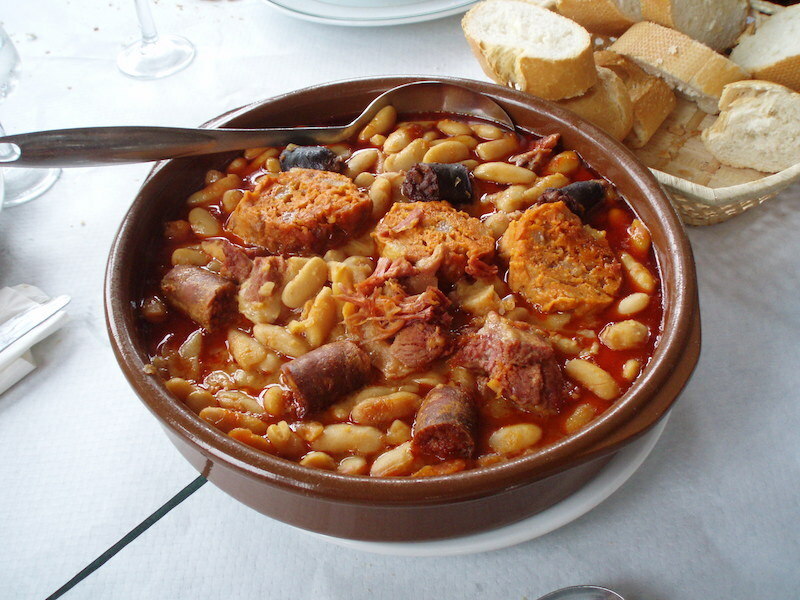 Try any of this at many of the “sidrerías” (local restaurants) in Asturias. If you prefer the “haute cuisine” there are a few michelin starred restaurants around so whatever you like, come to Asturias. I am sure you will love it! !